The Mediterranean diet is one of the most studied diets out there. It’s based on the traditional foods that people who lived around the Mediterranean Sea ate about 50 years ago. Back then, in the mid 20th century, researchers noted that people in Spain, Greece, and Italy lived longer and healthier than Americans. And they had lower levels of heart disease, the #1 killer. So, they set out to find what was so healthy in this part of the world. And the research keeps coming in. And it’s pretty impressive. Overall, it’s simply really good for you. PRO TIP: Recent research even links the Mediterranean diet to better gut microbes! This makes sense when you feed your friendly gut microbes their favorite foods including fibre, fruit, and vegetables. Here’s another bonus: Many people who start eating a Mediterranean diet can stick with it long-term. How’s that for a healthy whole-foods health-promoting not-so-restrictive diet? The Mediterranean diet is chock full of healthy whole foods. These foods are full of vitamins, minerals, antioxidants, healthy fats, and fibre. And they’re often eaten in social settings where the food (and the company) is enjoyed. The go-to beverage for the Mediterranean diet is water. Coffee and tea are also regularly consumed (without the addition of lots of cream and/or sugar). And yes, red wine (about 1 glass per day) is very commonly enjoyed. Red meat, unfermented dairy (e.g., milk), butter, and salt are rarely consumed, if at all. And if alcohol is a problem, you can also ditch the wine. The Mediterranean diet also incorporates a different lifestyle. Some things to ditch are being too sedentary, eating alone, and being overly stressed. The Mediterranean diet is a very healthy way of eating. 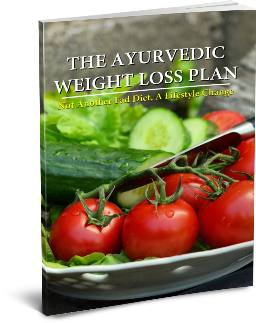 It is a whole-foods diet based mainly focussed on plant foods (fruits, vegetables, nuts, seeds, legumes, and whole grains). It also contains fish, olive oil, and herbs and spices. The Mediterranean diet is high in vitamins, minerals, antioxidants, healthy fats, and fibre; all of which are health-boosting from your head to your heart… and the rest of your body. Don’t forget that health involves more than just food. The Mediterranean lifestyle also incorporates regular exercise, eating with people whom you care about, and overall enjoyment of life. Do you think you could add or ditch certain foods to get closer to the Mediterranean diet? Do you have a favorite recipe that embodies this way of eating? I’d love to know! Add it to the comments below. Preheat oven to 450ºF and cover a baking sheet with parchment paper.Place the fillets in the middle of the pan. Add the asparagus, olives, garlic, and tomatoes around the fish. Brush with olive oil and sprinkle with dill and pepper. Slice lemon and place one onto each fillet. Squeeze juice from the rest of the lemon onto the vegetables.Roast in the oven for 10-12 minutes. Check if fillets are opaque all the way through and flake easily with a fork. If not, then cook for another few minutes. Tip: You can substitute another fish for the cod (e.g., salmon).